Collecting your own seeds is a great way to continue growing the plants that you love in your garden. It is also one of the most economical ways to produce new plants for your garden each season. There are a few steps involved to ensure that you can collect seeds from your favourite plants and then ensure they survive to germinate. 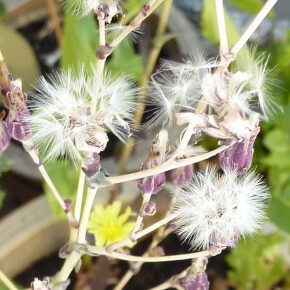 Step 1 – Allow seeds to develop – allow your flowers to go to seed by producing seed heads or seed pods. Step 2 – Collect seeds – break open dried seed pods and harvest the seeds. If the seeds are in fleshy fruits such as tomatoes, spread the seeds on some paper towelling to allow them to dry. Some pulps contain seed germination inhibitors so the seeds should be washed in water and thoroughly dried prior to storage. If there is a chance the seeds will be distributed naturally via the wind or animals then carefully put the foot end of a pair of old stockings over the seed pod to capture the seeds. Step 3 – Drying seeds – ensure seeds are completely dry prior to storage to prevent rot and the risk of mould. To dry, lay them out on paper for a few days in a dry environment. Step 4 – Storing seeds – seeds can be kept in envelopes and stored in an airtight, cool, dark, dry place. Ensure you clearly label envelopes with the name of the plant and the date and year the seed was collected. Envelopes can then be stored in icecream containers until ready for use. Some seeds require specific circumstances in order to to germinate such as a cold spell, burning or scarification. Enjoy the challenge of sustaining your own garden and if you end up with too many seeds, give them away to friends.